And the diseases that result in fish death are a plague on hatcheries and other aquaculture-related industries. One illness, called bacterial coldwater disease, can literally kill up to a third of the commercial supply. 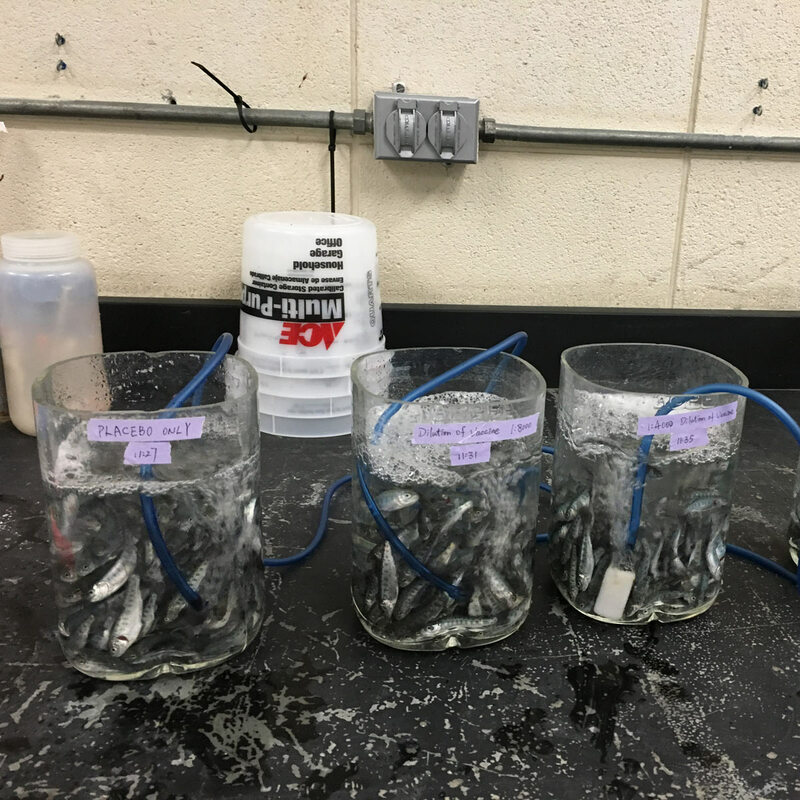 At the University of Idaho, Department of Fish and Wildlife Sciences researcher Kenneth Cain is working with a pharmaceutical partner to develop and commercialize a fish vaccine to prevent the illness and save large chunks of inventory at salmon and trout farms. “Once commercialized, the vaccine will help Idaho because there are so many aquaculture facilities here. 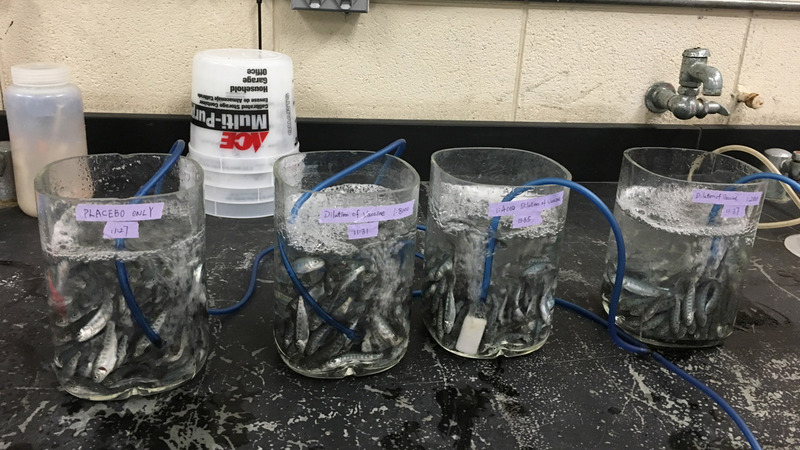 Aquaculture is also expanding worldwide as the need to feed the world continues to increase,” said Cain, associate director of the university’s Aquaculture Research Institute. Like Cain, countless U of I researchers produce inventions and discoveries over the course of their careers — including 20 who disclosed inventions last year. The process of sharing this new technology with industrial partners and creating marketable products and services is called technology transfer. But most researchers don’t have the background in intellectual property law and marketing necessary to bring a product to market. At U of I, the Office of Technology Transfer (OTT) helps researchers make that shift from ideas to store shelves. U of I can protect intellectual property created by faculty and staff by registering a patent, trademark or copyright on the inventor’s product. Then, only companies that license the invention from U of I can legally produce the same product. U of I sees revenue by charging royalties for the rights to use or produce its products. After U of I recovers patenting costs, the inventor receives 40 percent of licensing royalties. The college or program that was the source of the invention collects 20 percent, and the remaining 40 percent funds OTT and future patent applications. OTT is happy to work with faculty at the proposal phase and help plan for an invention’s development. That process starts when a researcher informs Tamsen and OTT about a discovery. OTT analyzes whether the invention is patentable, the product’s marketability and whether a university patent application is warranted. The process of applying for a patent can take years and cost between $20,000 and $220,000 — mostly the result of attorney fees. Consequently, OTT generally only invests in products likely to be impactful. For example, Cain’s vaccine could save more than 60 percent of fish that would have otherwise died. At times, OTT will opt to protect the intellectual property of a non-royalty-bearing invention that benefits Idaho. One such product is Blaze: Secure the Shelter, a computer simulation created by a U of I team with an eXtension Innovation grant that illustrates how people can lessen the risk of wildfire to their homes, ultimately reducing the burden of firefighting on governments and other institutional resources. “For us to patent an invention, it needs to be either better than existing products or economically cheaper to produce,” said OTT Licensing Associate Lokesh Mohan, who conducts patent searches on inventions to discover similar products. OTT also negotiates with potential partners to bring patented ideas into reality. Tamsen suggests researchers visit with OTT early in the process of an invention to allow time for market research. “We can tell researchers what the market needs and what the companies are looking for,” Mohan said. Once the invention is patented, OTT will negotiate licensing fees with interested companies. Sometimes, Tamsen said, businesses offer suggestions that can turn a B idea into an A+ product. Jana Jones and Jeremy Tamsen of U of I's Office of Research and Economic Development. 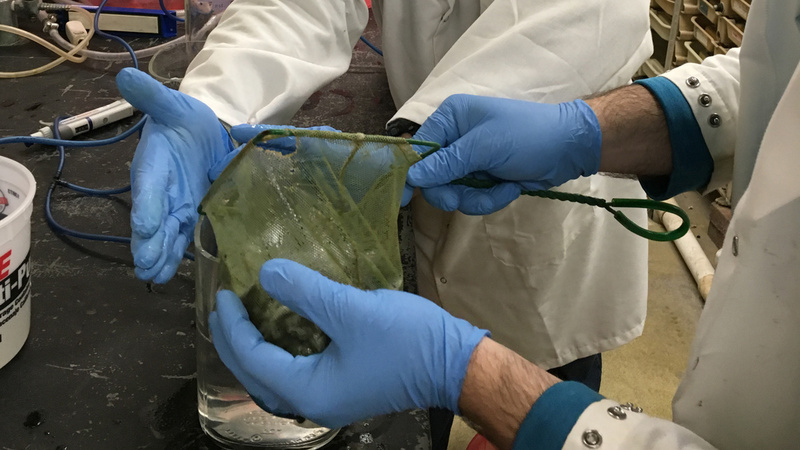 Faculty members disclose and patent their inventions to protect both their rights and the university's, Tamsen said — and to stimulate commercial research and development. Otherwise, the research may advance science but not the economy or society. Sakae Casting is one company partnering with U of I on product development. The Japanese firm is working on a new way of cooling used nuclear rods with the College of Engineering’s Richard Christensen and R.A. Borrelli, Boise State University and the Center for Advanced Energy Studies. In 2017, the group received a $237,898 grant through the Idaho Department of Commerce’s Idaho Global Entrepreneurial Mission program, which helps organizations transition inventions into products. Sakae Casting even opened a branch in Idaho Falls to facilitate its work. 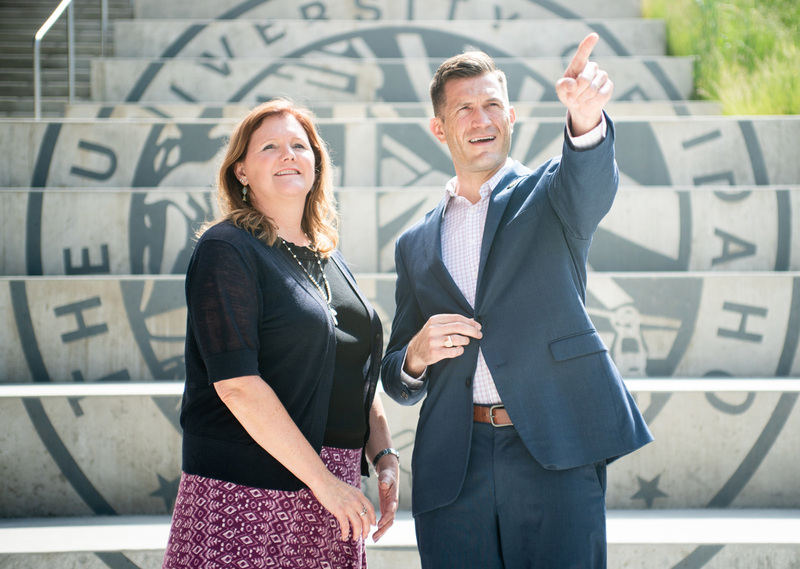 That the university is actively engaged in helping businesses grow is a huge selling point for entrepreneurs thinking about coming to Idaho, said Jana Jones, U of I’s executive director of economic development. In addition to bringing in outside business, technology transfer can support startups with the background to commercialize U of I inventions. Tamsen said the university can provide breaks in licensing fees, access to facilities and product testing. When these relationships work well, the money that launched the original research — often federal funds — has much greater reach. 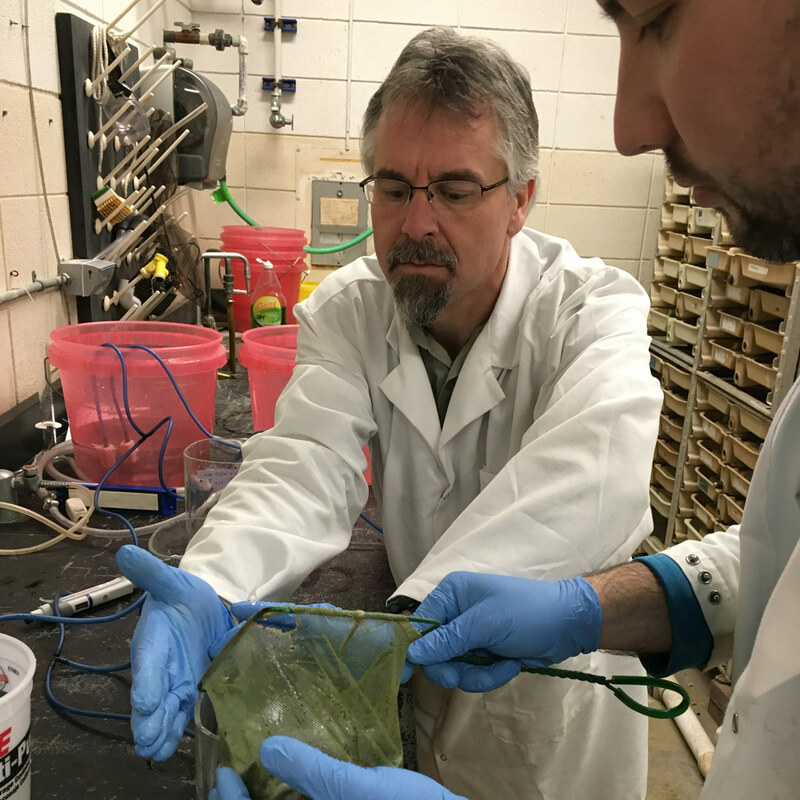 In 1999, Kenneth Cain, professor and associate director of the Aquaculture Research Institute, joined the U of I Department of Fish and Wildlife Sciences as an expert in fish health and aquaculture. Follow him and his colleagues through the development of a fish vaccine. 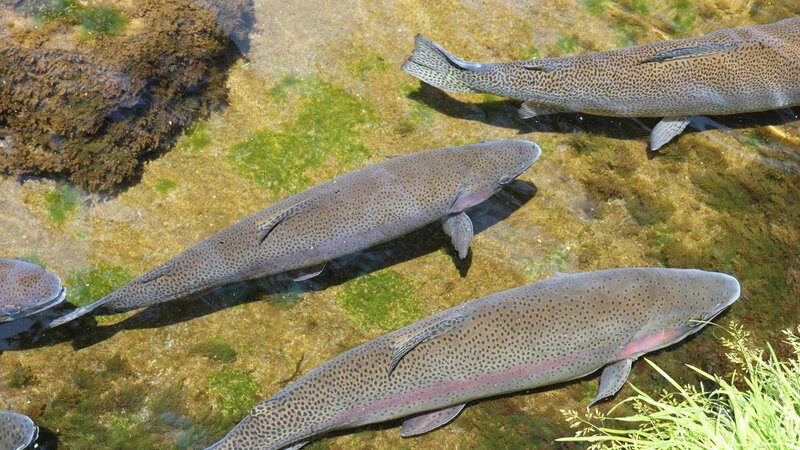 Bacterial coldwater disease afflicts fish in the salmon family around the world. 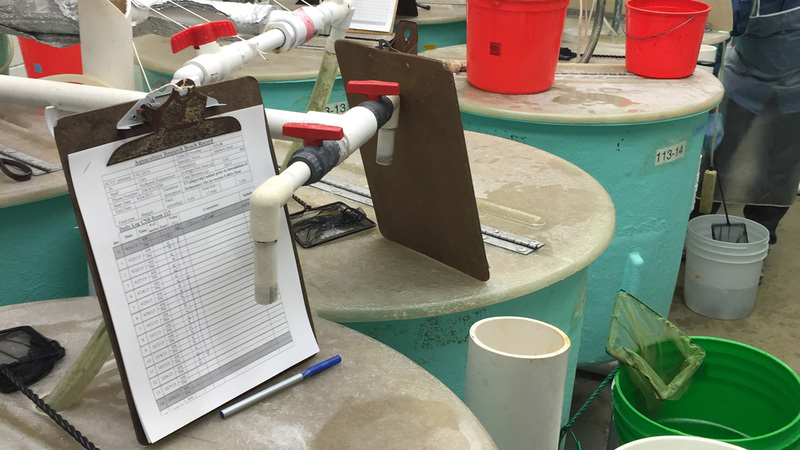 The disease can kill more than 30 percent of hatchery fish and treatments are costly. 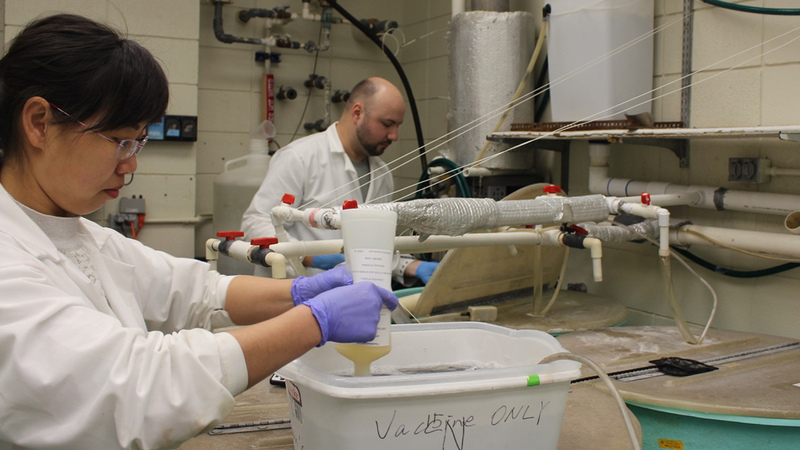 Cain and his graduate students invented a vaccine for coldwater disease. If 2- to 3-inch fish are immersed in the treatment, the vaccine saves more than 60 percent of fish that would have otherwise died. Cain disclosed the invention to U of I’s Office of Technology Transfer (OTT), which evaluated the vaccine’s marketability and whether there were other competitive solutions to the disease. After testing whether the vaccine could be produced economically and sold on a sizable scale, a large pharmaceutical company licensed the patent for the vaccine from U of I.
Cain and OTT are supporting their pharmaceutical partners while they earn U.S. Department of Agriculture (USDA) approval for the vaccine. 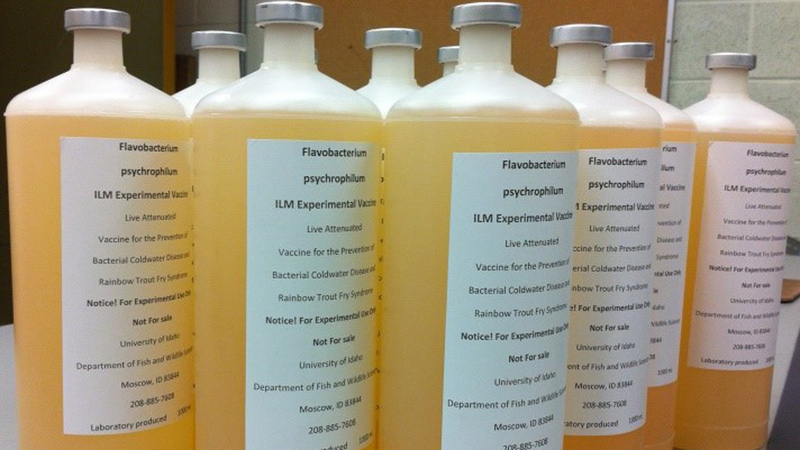 After USDA approval, Cain’s pharmaceutical partners will sell the vaccine to commercial aquaculture companies and state hatcheries. Once on the market, it could help salmon producers recover millions of dollars in losses each year.